The first Sunday in November, 2006, we celebrated the twenty-fifth anniversary of Word of Life Church. Following the services Peri and I flew to Tel Aviv and from there to Eilat on the Red Sea. The next morning, with luggage in tow, we walked across the border to Egypt where we were met by Mina — a Coptic Christian guide, Akhmed — a Bedouin driver, and Mohammad — an Egyptian security guard from Cairo. We were on our way to climb Mount Sinai. 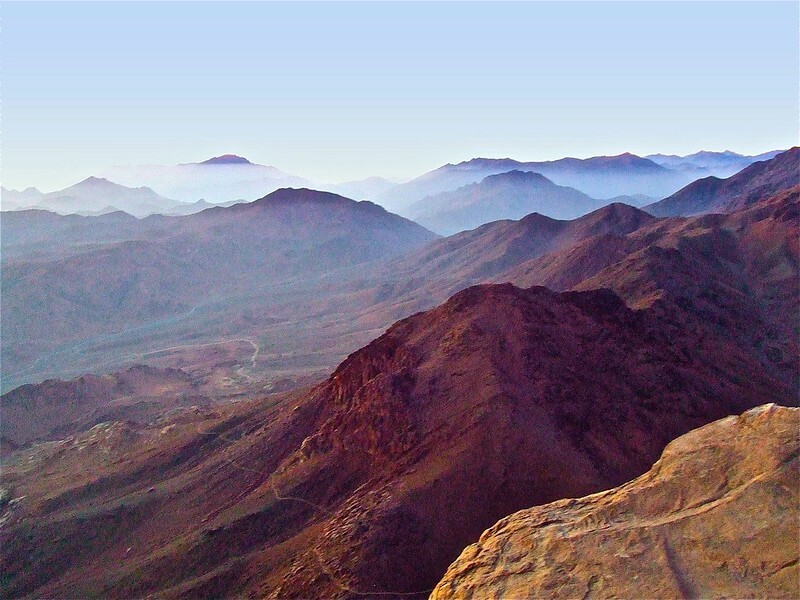 I had made an appointment to meet God on the summit of Sinai at sunrise on November 9, 2006. 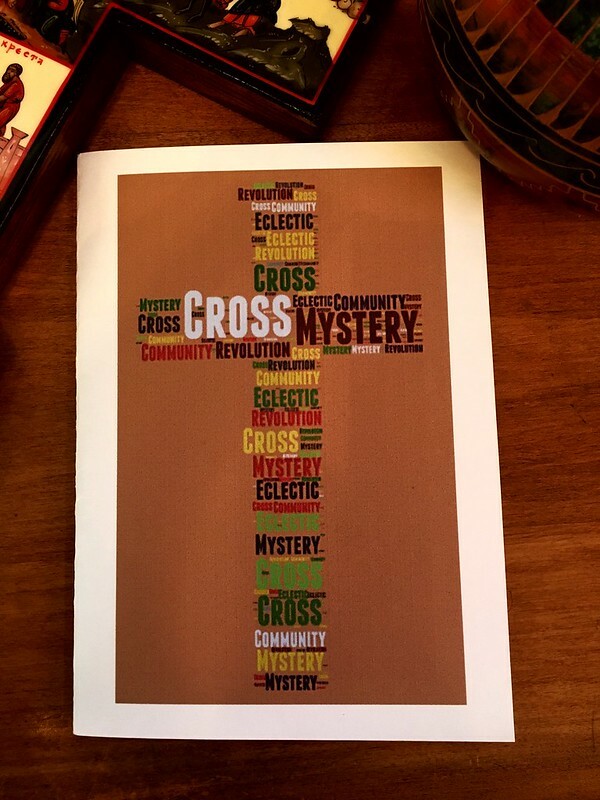 This was the thirty-second anniversary of my teenage encounter with Jesus and, as I thought of it, the beginning of the second half of my ministry. I wanted to re-consecrate my life and ministry on the mountain where Moses met with God. Introductions were made, the five of us piled into a Toyota Land Cruiser, and we headed into the desert…off road. Only a Bedouin driver familiar with the Sinai wilderness could have pulled this off. It was an unbelievably rough ride and I was terribly carsick. After stopping along the way to explore the Colored Canyon and have a meal at a Bedouin camp, we reached our lodging around 10:00 p.m. We were up at 2:00 a.m. to climb the mountain. It was a short night. We were told it would take us about four hours to reach the summit, but we made it in two. So for another two hours we shivered in the dark in freezing temperatures awaiting sunrise. But the cold, dark wait was worth it. It was the most memorable sunrise of my life. We kept our appointment with God and then began our descent. By mid-morning we arrived at St. Catherine’s Monastery at the foot of the holy mountain. This monastery dating back to the fourth century is the oldest site of continuous Christian worship in the world. Orthodox monks have been praying here day and night for seventeen centuries. I wanted to join them in prayer. At first the monks refused since we were not Orthodox, but with a bit of pleading and cajoling they allowed us into the chapel where we added our voices to seventeen centuries of prayer. 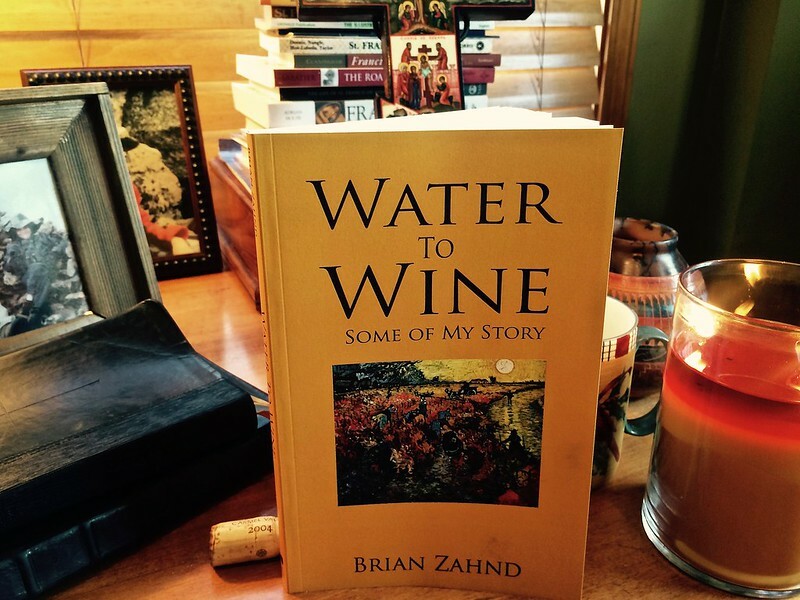 Today is the release date for my new book, Water To Wine: Some of My Story. I wrote this book because I could not not write this book. I was compelled to justify my journey and give some guidance to fellow seekers. Over the past twelve years I’ve gone through a tremendous spiritual and theological transition. Some friends, pastors, and former church members have been critical of these changes. But many more have found hope and encouragement in my spiritual pilgrimage. Water To Wine is written for all these people. For my critics this is my humble, yet earnest, defense. For those who have found my journey helpful and have asked for some direction, this is it. Most of all I wrote Water To Wine for the multitudes of Christians who are sold on Jesus, but have come to feel that pop-Christianity is too watery and too thin. They are right…it is. And I want to help. I hope the story of how I found my way out of cotton-candy Christianity and into a richer and more robust faith may help point these seekers in the right direction. Perhaps you are one of them. Instead of trying to reproduce the book in this blog post, I want to share a thousand words — a thousand words selected from throughout the introductory first chapter. I hope it will whet your appetite. Seventy years ago today an atomic bomb was dropped on Hiroshima, Japan. Those who experienced it and lived to tell about it, all described it in similar fashion: It began with a flash brighter than the sun. It was August 6, 1945. According to the church calendar it was also the Feast of the Transfiguration. The atomic bombing of Hiroshima was the world’s first use of a weapon of mass destruction. In this seaport city of 250,000 people, 100,000 were either killed instantly or doomed to die within a few hours. Another 100,000 were injured. Of this city’s 150 doctors, 65 had been killed and most of the rest were injured. Of the 1,780 nurses, 1,654 were either dead or too badly injured to work. Hiroshima had become the house of the dead and dying. It was Transfiguration Day. 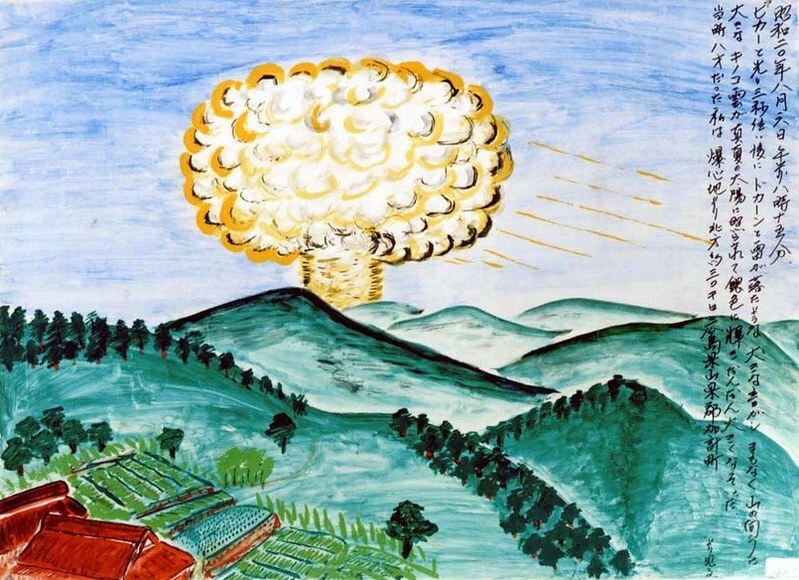 When “Little Boy” (the name given the bomb) shone like the sun over Hiroshima, thousands of little boys and girls were burned in atomic fire and poisoned by radioactive rain. The bombing of Hiroshima is the anti-Transfiguration. 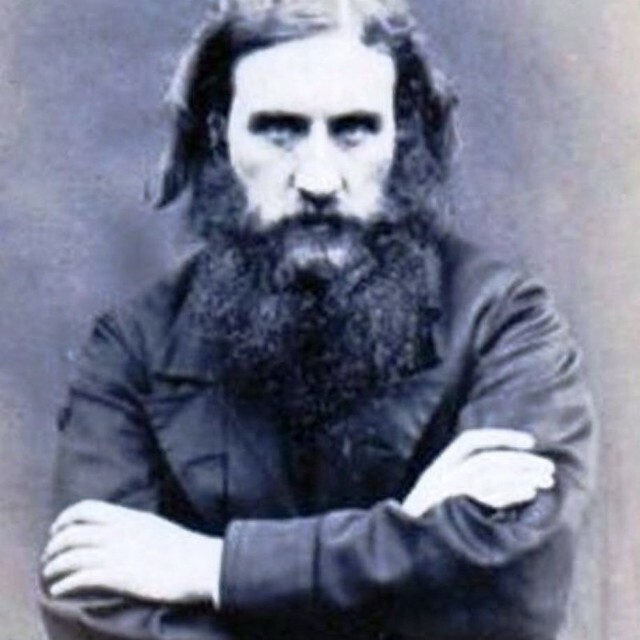 George MacDonald (1824–1905) was a Scottish novelist, poet, preacher, mystic, lecturer, theologian whose writings have had an enormous influence on many Christian thinkers, including C.S. Lewis and G.K. Chesterton. In my own spiritual journey I would list George MacDonald’s Lilith as a top ten influence. George MacDonald understood as clearly as anyone that salvation is not so much a conferred status as it is a lifelong journey — a continual pressing into the revelation of God in Christ. But to be a public theologian, thinker, writer and on an ever-evolving spiritual journey, rankles the self-appointed gatekeepers of religious certitude. Thus George MacDonald was regularly (and wrongly) accused of heresy for simply not toeing the line of the Scottish Calvinism predominant in his day. T.S. Eliot’s poem Journey of the Magi with my quasi-interpretation of it. Which is more than an interpretation — it’s also a kind of autobiographical confession; for I too have had a hard time of it. And like Eliot’s Magi I would do it all over again. You are great, Lord, and highly to be praised: Great is your power and your wisdom is immeasurable. Man, a little piece of your creation, desires to praise you, a human being bearing his mortality with him, carrying with him the witness of his sin and the witness that you resist the proud. Nevertheless, to praise you is the desire of man, a little piece of your creation. You stir man to take pleasure in praising you, because you have made us for yourself, and our heart is restless until it rests in you. “Our heart is restless until it rests in you.” Those words resonated with me. Sure, I was a Christian. But I was also a man with a restless heart. A year earlier I had turned forty while climbing Mount Kilimanjaro in Africa. Now I was beginning to think about the second half of life…and I was restless. I had plenty of success, but I was restless. I was still searching and the clock was ticking. I feared I was running out of time. As I read Confessions Augustine told me his story. He was born November 13, 354, the oldest son of a pagan father and a Christian mother, and raised among the aristocracy of the late Roman Empire in North Africa. He told unflinchingly of his somewhat profligate youth. He told of teaching rhetoric in Milan and writing speeches for the emperor. His genius was evident. He told in detail of his quest for truth in the dualistic religion of Manichaeism and his eventual disenchantment with it. 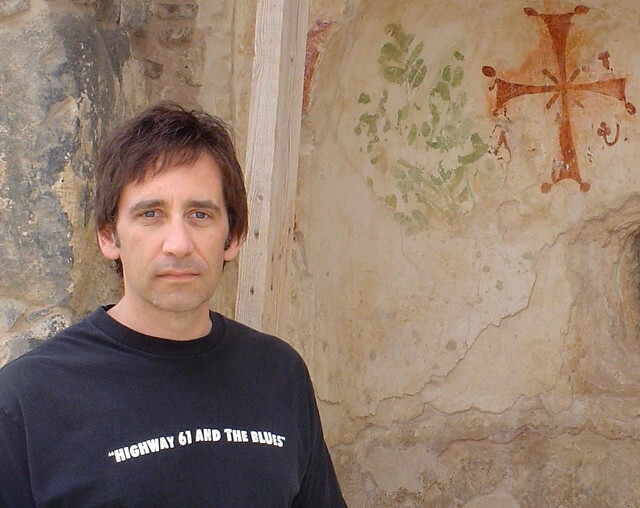 He told of hearing the sermons of Ambrose that pointed him in a new direction. He told beautifully of his dramatic conversion on the day he heard a child’s voice singing in the garden, “take and read,” and how when he turned at random in the New Testament he read Paul’s words, “put on the Lord Jesus Christ.” He told of how he and three other friends chose to enter a monastic life. He told of becoming the bishop of Hippo. All along the way there were the profound musings of a philosopher on the nature of time and memory, and more importantly, the prayers of a Christian seeker exploring the mysteries of God.